When it comes to foot care, you want to work with knowledgeable physicians who take the time to answer your questions and a pleasant, caring staff that puts you at ease. That's just what you'll find at Mount Joy Foot & Ankle! Our goal is to provide the most comprehensive and complete foot and ankle care possible. We pride ourselves on educating our patients about their treatment options before we begin treatment. Convenient evening hours are available for those who are unable to take time away from work. 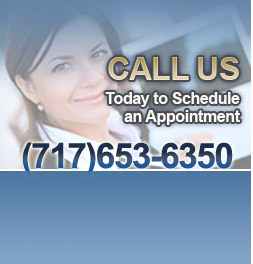 To make an appointment, call our office at (717) 653-6350 or send us an email. We are the only podiatry facility in the area with a biomechanical gait lab specializing in slow motion video gait analysis and dynamic mat scan analysis to aid in diagnosis of underlying problems. Identifying these areas is the first step in developing preventive treatments and keeping you on your feet. Using the latest techniques, we are dedicated to diagnosing and successfully treating non-healing debilitating foot and leg wounds. Our shoe store is open to the public and is located in our office. We specialize in diabetic shoes, extra depth shoes for rheumatoid patients with foot deformity, and casual comfortable walking shoes for men and women who are looking for everyday comfort. We carry a full line of SAS Comfort Shoes, Dr. Comfort Shoes, Brooks Athletic Shoes, and Aetrex Shoes. Also available are Jobst compression stockings, diabetic socks, and a full line of Drymax Socks. We participate with most major insurances. Please call our office and our staff will be happy to help you with questions about our participation with your particular plan. This site's web design services and hosting by EZMarketing, Lancaster, PA.